Once you subscribe to senangPay, you are entitled a free support forever. There are 2 types of support from senangPay. e. Stay updated on known issues, announcements and product releases – and give us feedback. 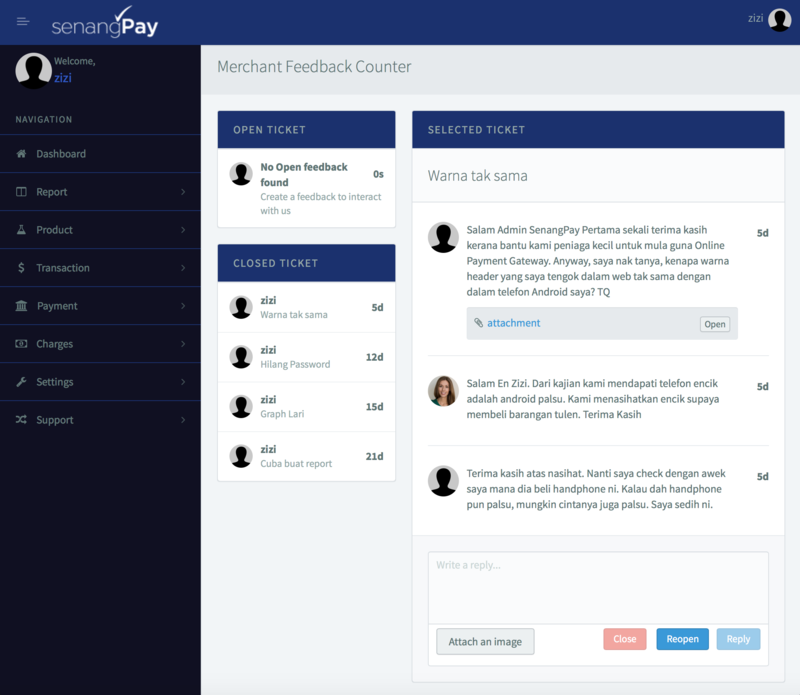 If you need a personal assistant on how to manage your senangPay account, simply log in to your Dashboard and log an inquiry or feedback in the Feedback menu. Our support team will entertain and answer all your questions regarding your problems.